Nearly 100 hot air balloons paint the Iowa sky with brilliant colors and playful Special Shapes! Cheer on skilled pilots as they compete for points and prizes, sit back and enjoy live music nightly, buy a balloon ride for a one-of-a-kind view, and prepare to be awestruck as dark skies come alive with a mystical glow during Dawn Patrol and Nite Glows. Kids Land, fireworks, fabulous food…experience all of this and so much more at the 2019 National Balloon Classic! Day 1 – Des Moines – Today, you travel to Des Moines, Iowa. On arrival, check into your local hotel for a three night stay. Tonight, you enjoy a beautiful evening at the Des Moines Botanical Gardens, a vibrant, 14-acre public garden in the heart of downtown Des Moines. The event includes a private tour, sit down dinner, and a horticultural program, your choice of topics. Day 2 – Dawn Ascension – Bridges of Madison County – John Wayne – The following day starts with the National Balloon Classic in Indianola; closer than Albuquerque and a lot less money. This annual hot-air balloon festival hosts competition and races for over 100 balloon pilots and more than 75,000 spectators. Very early this morning, you will witness the Dawn Ascension (this is a 6:00am event.) Prepare to be awestruck as dark skies come alive with a mystical glow during Dawn Patrol. Bring your flashlight and watch in wonder as Dawn Patrol pilots launch prior to sunrise and fly until it is light enough to land. Secured with specially approved lighting systems, balloons flying in the dark are a rare phenomenon in ballooning. Enjoy several hours of free time on the festival grounds this morning to enjoy the festivities to include: competitions, balloon rides, food vendors, games for kids, and live music shows. 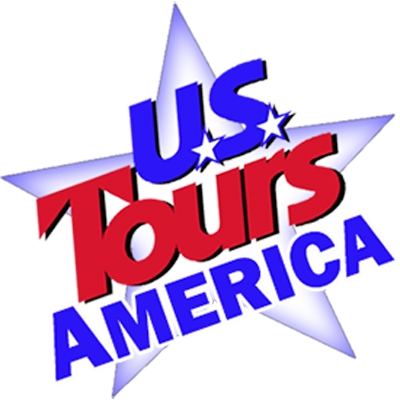 This afternoon, you will enjoy local sightseeing with a Bridges of Madison County Tour. Madison County is the Covered Bridge Capital of Iowa, with the largest group of covered bridges that exists in one area in the western half of the Mississippi Valley. Your tour will cover the construction and history of the bridges, the movie production (The Bridges of Madison County starring Clint Eastwood and Meryl Streep), and a variety of local historical information. All Tour groups will receive a copy of the movie to play on the coach during your travel. Thus the sites presented by your step-on guide are much more meaningful. The afternoon of Cinema excitement doesn’t end there however, as you also see John Wayne’s Birthplace and Museum. John Wayne’s modest four-room birthplace home has been lovingly restored to reflect its appearance at the time of his birth. Adjacent to the home, the brand-new John Wayne Birthplace Museum offers an astounding collection of artifacts and memorabilia from the film legend’s career. The only museum in the world dedicated to John Wayne, it features a movie theater and contains the largest diversified collection of John Wayne artifacts in existence, including movie posters, film wardrobe, original scripts, contracts, letters, artwork and sculpture — even one of his custom-built cars! You stop on Urbandale this evening for dinner at the Machine Shed, Honoring the American farmers; the Machine Shed is located at the entrance of Living History Farms. Try award-winning steaks and chops, its farm to table food at its finest. Free tractor rides, weather permitting, at 5 p.m. every day. You then return to Des Moines for the evening. Day 3 – Touring Options – Des Moines or Pella, IA – Day three provides you a nice option of daytime sights followed by an evening at the Balloon Classic. Optional daytime sightseeing on Day 3 features either Des Moines or Pella, Iowa. Option #1 – Des Moines, you will tour the John Deere Factory, Historic Valley Junction and learn of local railroad history. The John Deere Des Moines Works manufactures self-propelled sprayers, cotton harvesters, tillage equipment, and grain drills. There is also a gift shop stocked with John Deere clothes, toys and accessories. Option #2 – Pella, famous for the Pella Tulip Time Festival, you will explore a village where life appears much as is was in the Netherlands. The sights, sounds and smells are Dutch. From the canal, to the architecture, to the 1850’s windmill the community literally appears to be a village in the Netherlands and is a great group tour stop. Dinner is own your own today. The evening highlight is the Nite Glow of Balloons, plus a concert or fireworks depending on the days you attend. Final schedule of events available in the Spring. Cheer on as the pilots fire the burners and balloons dazzle with their gorgeous glow. The excitement builds during Nite Glow Extravaganza when guests are invited onto the launch field for an up close, one-of-a-kind view. Day 4: Depart for Home – After breakfast, depart for home.